After a short break sharing some other miniatures I finally got around to paint again some rats. 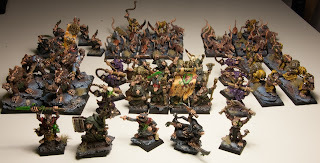 This time I painted about 35 giant rats. Yes I know that most probably I will never use that many in a battle, but since I got all of them in the same package that I bought to a fellow oldhammerer I decided to paint them anyway. Here you have some pics, a bit blurry, I apologize for that, but I am still trying to learn how to make a picture of a whole unit that is not blurry. 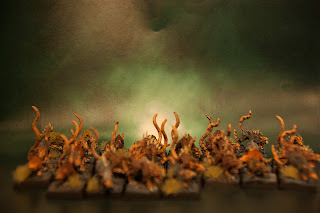 You will probably note that the miniatures are a mix of classical giant rats and mutant rats from Necromunda, at the beginning I thought I would sell the Necromunda ones but once I put them together I thought they looked cool so I kept them. The colours I chose are based on the cover of the 4th ed. army book, they are mainly brown but there are some grey, yellow and even white! I think they have a nice horde look. I also tried to make some group photo with all the rats I have painted since I started. I have to say that I am quite happy for now with the painting pace. It's more than 70 miniatures already! You can check some -again- blurry pictures below. 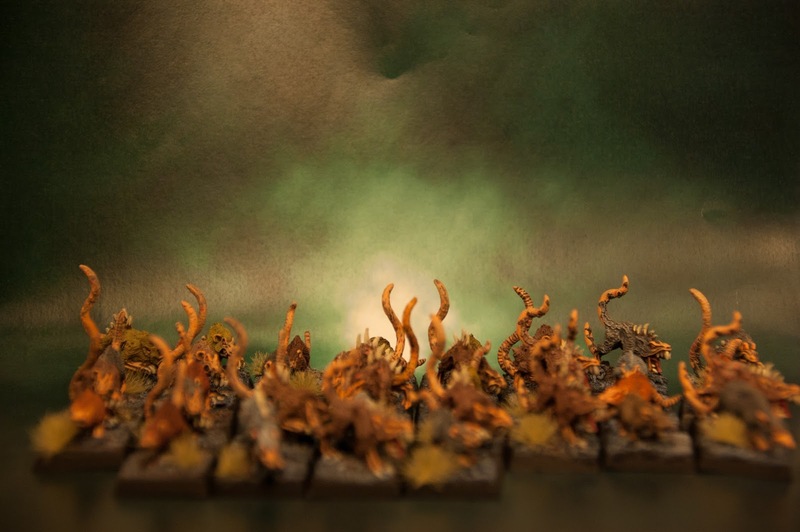 There is a unit of plague monks, two units of giant rats, one of rat ogres, gutter runners, plague censers, jezzails, fire throwers and some characters. After this I am going to take a small break to keep on painting some more Primarchs before I continue with the rats.